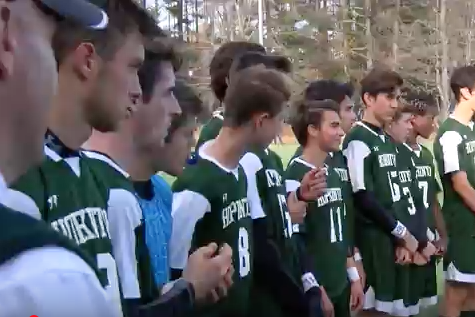 Because of some cancelled games this week due to some bad weather, let’s go back to look at a never aired division 3 boys soccer championship game from last fall. On Saturday November 4th, the teams from Hopkinton and Derryfield squared off at Southern New Hampshire University. The Hawks held the second overall seed with a record of 17 and 2 while the Cougars came in with the top rank, holding an impressive 17 and 0 undefeated record. Last season, Hopkinton won the state title and beat Derryfield in the semifinals so the Cougars this year were out for some revenge.